A big name interview for Tapper's big day. It’s no secret CNN’s Jake Tapper is a man of artistic talent, as the once political cartoonist, turned newsman, is often posting his work on social media. But Tuesday afternoon, Tapper put his now-hobby to good use — revealing who his first guest would be on Twitter. 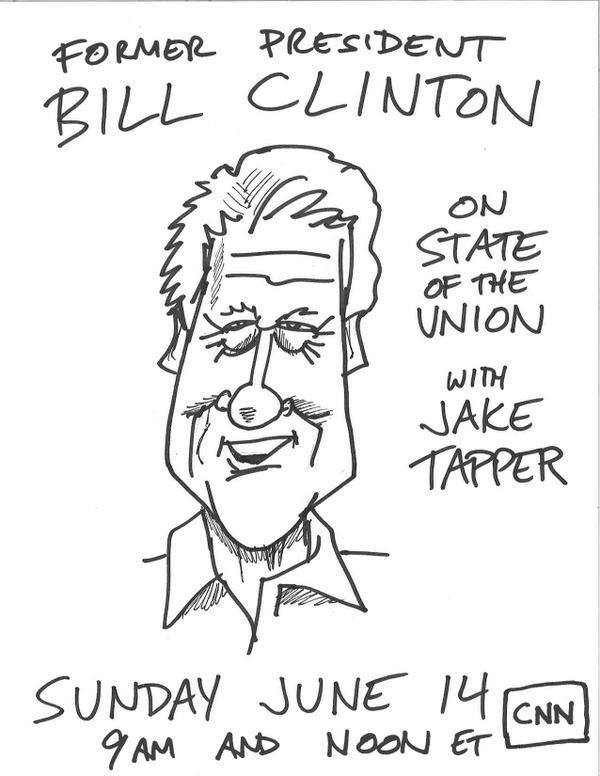 The new moderator of CNN’s “State of the Union” will make his debut on Sunday with a big interview: former President Bill Clinton.